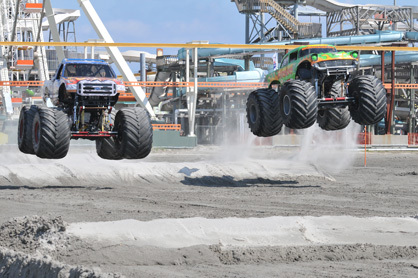 If you enjoy this summer weather and plan on visiting the Jersey Shore this month, here’s our Top 10 of the best shore events in August of 2015. (and since we have received complaints about ranking events in the past, they are ordered by date!). Or you can go here for the full calendar of events. 1. Haskell Invitational (August 2). The biggest racing event in NJ, with over 40,000 racing fans flocking to the Monmouth Park Racetrack. 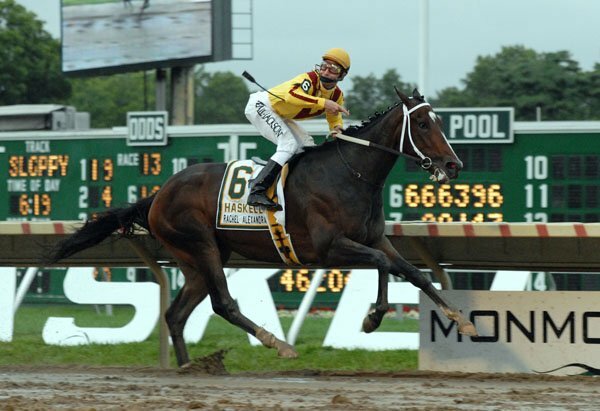 The top three-year-old racehorses in the country, including Triple-Crown winner American Pharoah, battle in the $1 Million Grade I Haskell Invitational. Gates open 10am, first race at noon. 2. Cape May Craft Beer & Crab Festival (August 8). All-day festival featuring local and regional craft beers to wash down favorite summer picnic food at the Emlen Physick Estate. 3. 53rd Annual Ocean City Boardwalk Art Show (August 7-9). Leading artists from throughout the East Coast exhibit and sell their work. Traditionally an ideal place to buy fine artwork at reasonable prices. Friday & Saturday 10am-6pm, Sunday 10am-4pm. 4. 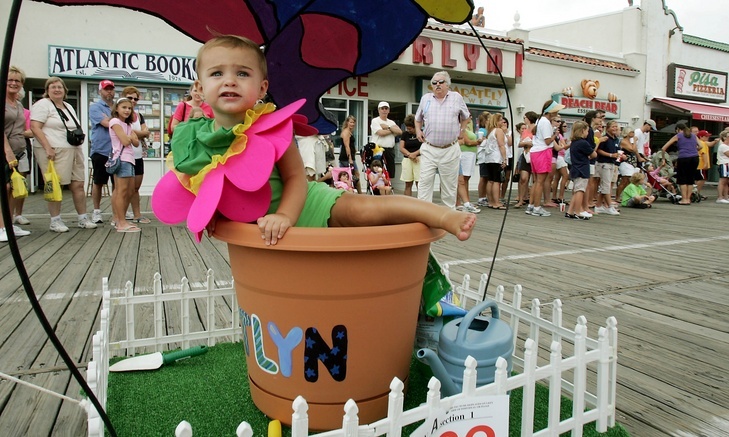 Ocean City’s 106th Annual Baby Parade (August 13). One of the oldest baby parades in the country. On the Boardwalk, 6th-12th Sts at 5:30pm. 5. Festival Of Lights Stone Harbor Boat Parade (August 15). Boat Parade begins at 7:30pm at Yacht Club of Stone Harbor (9001 Sunset Dr) Basin. All are invited to participate with decorated boats and decorated bayfront properties. 6. Truck-erton Food Truck & Brew Fest (August 15). 20 food trucks rolling in to serve up food and fun. 11am-7pm, the Tuckerton Seaport will have live entertainment and programs perfect for the whole family. 7. Maroon 5 Concert on the Atlantic City Beach (August 16). On the beach at 4pm with special guests Nick Jonas and Matt McAndrew. 8. Rolling Iron Antique Auto Show at the Allaire Village (August 16). Hundreds of antique cars, trucks, & motorcycles will be on display & over 40 awards will be given out to different classes and vehicles. 8am-3pm. 9. Long Branch Jazz and Blues Festival (August 29). On the Great Lawn, 12-9:45pm. Vendors of exotic and regional NJ food, 7 great bands including Function 11 as the featured closing act! Featuring a stage for music, kids’ activities, the beach, and fireworks at 9:30. Lawn chairs encouraged, coolers forbidden, sunscreen a must.